Do it yourself, or do it with your family. We gotcha covered! Select your membership level above! In an ongoing effort to improve and expand the mountain biking opportunities in Iowa, the Linn Area Mountain Bike Association (LAMBA) and the International Mountain Bicycling Association (IMBA) have teamed up through IMBA’s Chapter Program. LAMBA joins IMBA as a chapter to provide a strong mountain biking advocacy program to the community. The Linn Area Mountain Bike Association (LAMBA) and the International Mountain Bike Association (IMBA) have teamed up through IMBA’s Chapter Program. LAMBA is a non-profit organization dedicated to creating and maintaining natural surface singletrack trails in Linn County and surrounding areas. In addition to striving to create world class trails in the Midwest, LAMBA also works closely with multiple municipalities to eradicate invasive species and forward conservation efforts in natural spaces. Education is also a large component of LAMBA’s efforts and has taken many forms; including clinics for women and children and public speaking events that promote singletrack trails. 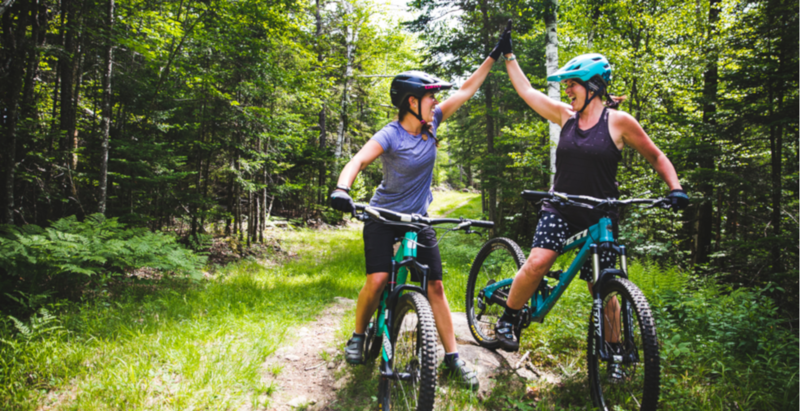 Local partnerships are important for increasing the amount of singletrack in the area, and LAMBA partners with local business to promote this healthy form of recreation. LAMBA and IMBA continue to strive for new recreation opportunities in the area and appreciate your continued support. Join IMBA and LAMBA to become part of the team of trail users working to improve the experience on trails close to home. Your support is critical in helping LAMBA and IMBA work with local land managers, demonstrating that we will continue to build and maintain sustainable trails AND be responsible trail users. As a LAMBA-IMBA member, you will receive special regional newsletters, invitations to monthly meetings, and many other social events throughout the year. Most importantly, you will be helping us develop future trail opportunities and improve our current local trails. Join today and ride with us tomorrow!